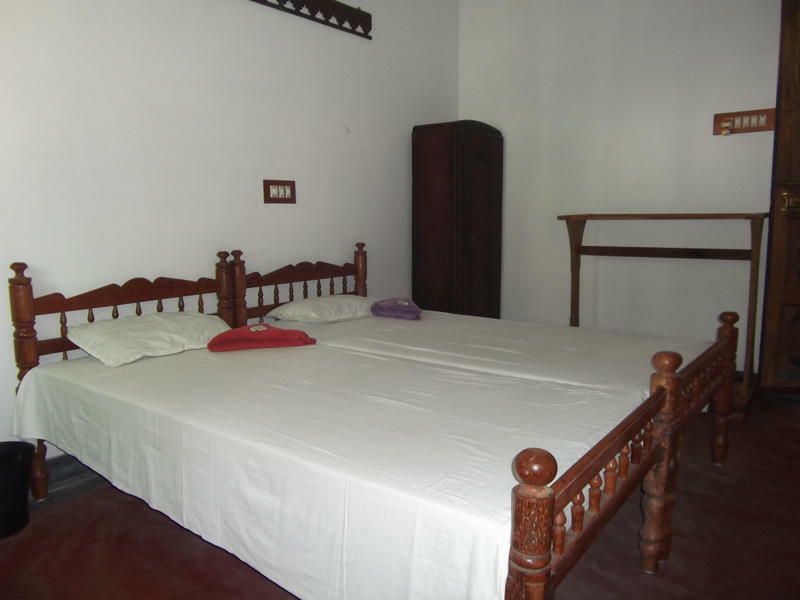 Costa Gama Homestay is located at Fort Cochin, very near to the main city of Cochin which is an upcoming metro. Nearest International Airport is the Cochin International Airport at Nedumbassery which is just 45 kms drive. 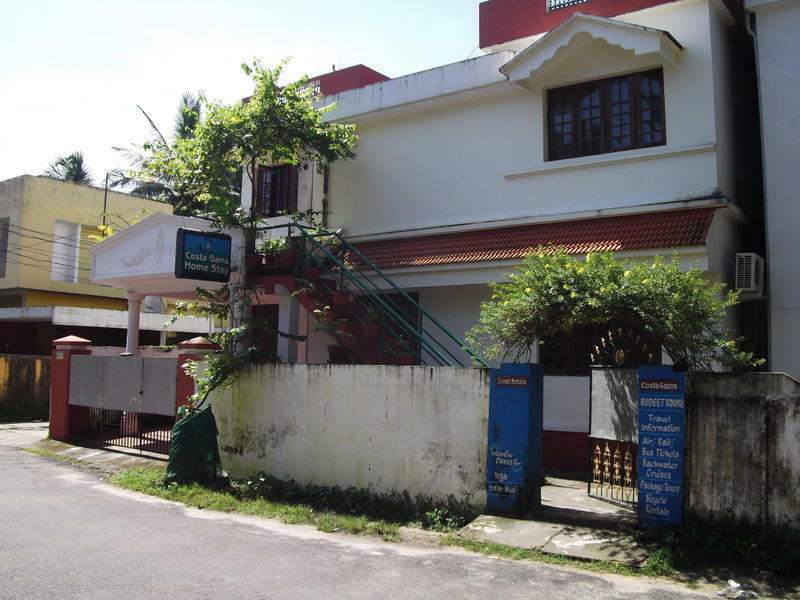 The Ernakulam Junction Railway Station and Town Railway Stations are just 11 & 14 kms away. 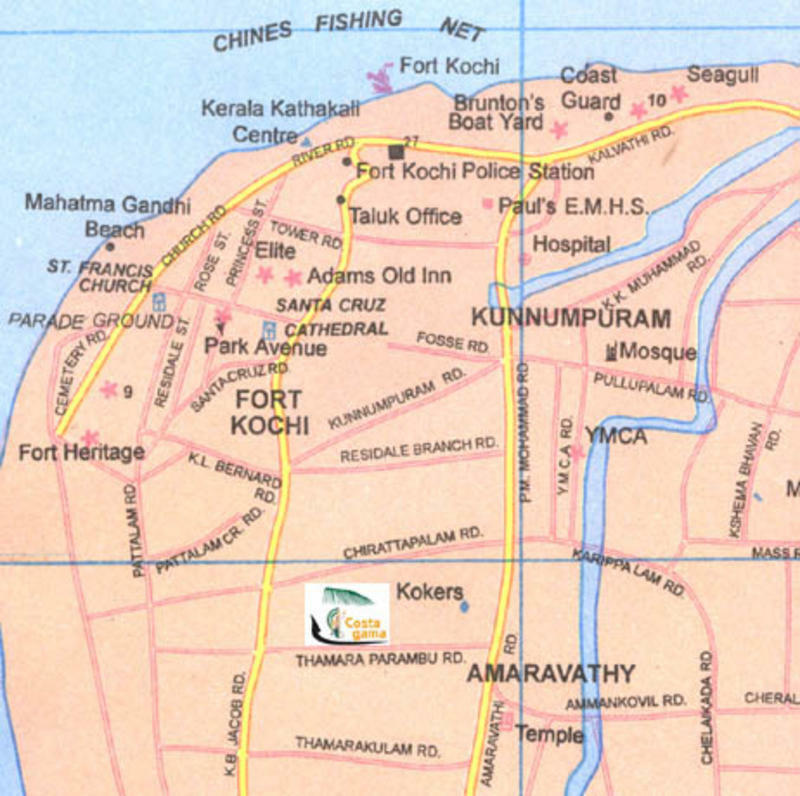 Fort Cochin is well connected to all other destinations in Kerala by roads. The National Highway as well as the Sea Port Airport Road, which give easy access from the Airport, are just 4 -5 kms away from Costa Gama. The place is also accessible by water. 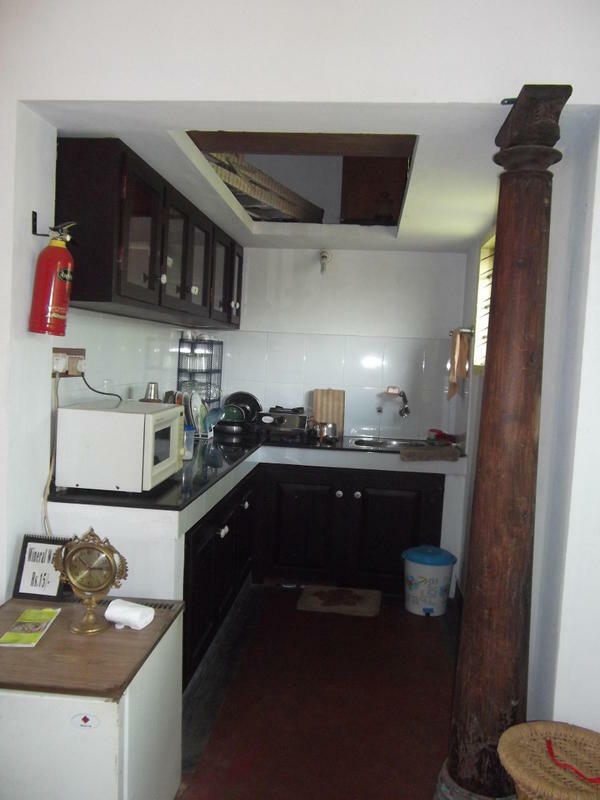 A Ferry boat from Ernakulam to Fort Cochin takes 17 to 20 minutes and from the Fort Cochin Ferry Station Costa Gama Homestay is just less 5 minutes by autorickshaw (You pay Rs.12/- to Rs.15/-) just ten to twelve minutes by walk. 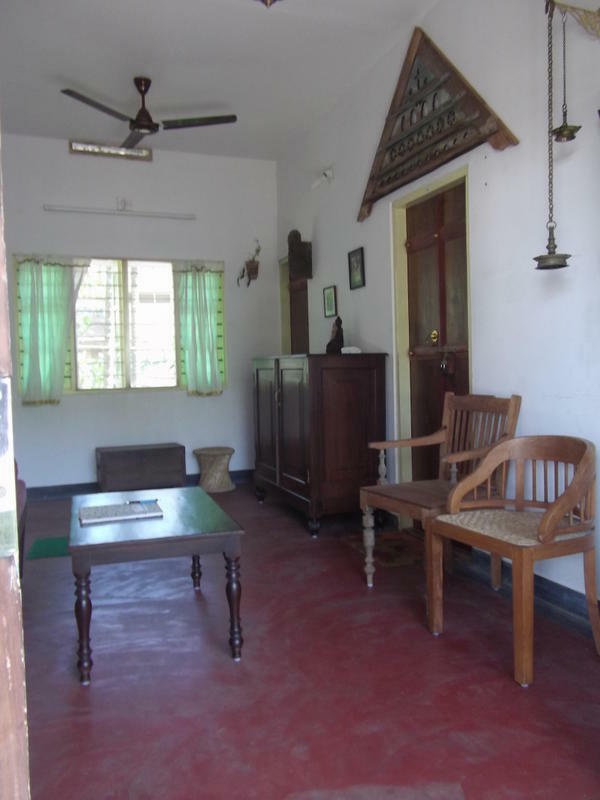 Costa Gama Homestay is located on Thamaraparambu Road, Fort Cochin, Thamaraparambu road is a road connecting K B Jacob Road and Amaravathy Road, CCEA Hall is the third building from Costa Gama Homestay. LG Pai Library is just Opposite Costa Gama Homestay. Thamaraparambu School is on the other end of Thamaraparambu Road..